After the success of the K.B Pro Brow and eyeliner pigments, Karen Betts has been busy behind the scenes expanding her award-winning collection with a new range lip pigments. In between attending industry events around the world and launching her new K.B Pro Brows Microblading Treatment, which she has carried out for many clients including Gail Porter, she has found the time to perfect her latest lip innovation. The lip range consists of 30 new pigments containing of a gorgeous array of colours to suit all clients’ needs. From natural nudes to popping pinks and enticing reds to deep mauves, there’s sure to be a colour to suit everyone. Following a mini launch of her pigment range at the recent Professional Beauty North and Olympia Beauty Shows, Karen is now making her lip pigment range available to permanent makeup artists across the globe, and along with our Elite Permanent Makeup Artists is performing lip treatments at our treatment clinics located in Yorkshire, Chesire and No 1 Harley Street, London, using the pigments, using the pigments. 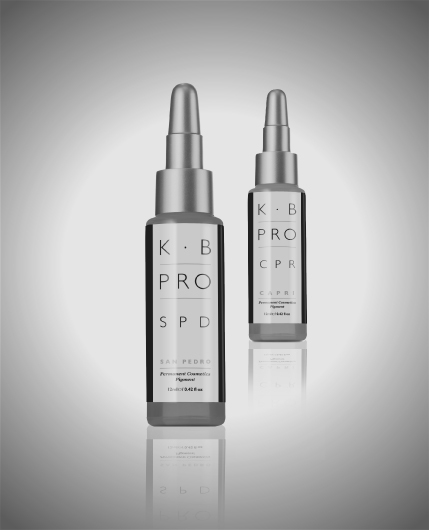 If you’re interested in a lip treatment and benefiting from the gorgeous results the Karen’s new K.B Pro lip pigments promise, call our client services team on 0844 801 6838 or speak to them on live chat.